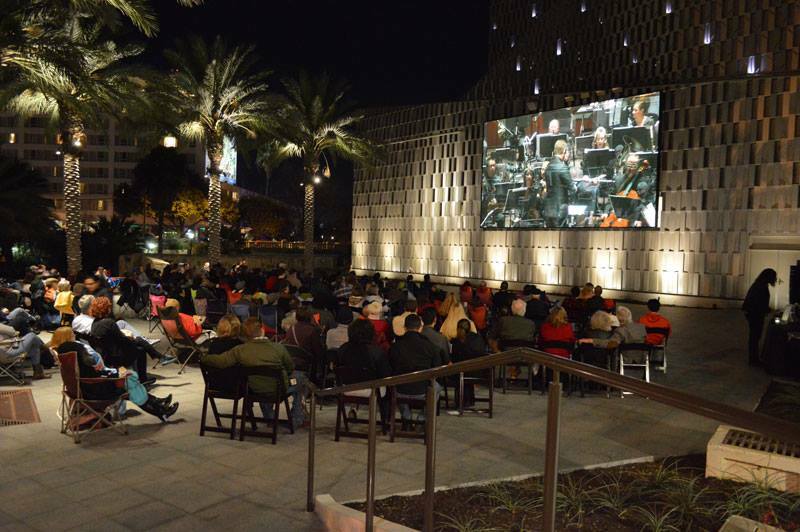 Did you know that this upcoming weekend, June 3-5 will be the last concerts of the San Antonio Symphony's 2015-2016 season? To honor the Symphony for a great year, there are great opportunities to hear them this weekend at the Symphony Appreciation Weekend. Check it out! My top pick is the FREE Simulcast and Paint to Music Contest! During the simulcast, there will be a public Paint to Beethoven contest to be enjoyed by all ages!! The FREE simulcast is sponsored by our friends at H-E-B. Entry to the Plaza will begin at 7:00 p.m. Please, no outside food, drinks, or pets. This looks like a great, fun evening! If you are interested in being indoors, there's an opportunity below for you too! Families can receive up to 50 percent off using promo code: BEETHOVEN here. Want to take a chance and try to WIN FREE tickets for the Sunday, June 5th at 2pm concert ? Check out my giveaway below! Battle For Texas: A New San Antonio Alamo Adventure! Spoiler alert: I cried at the end. Last week I was invited to preview the new Battle For Texas: The Experience with my children. In exchange for this blog post, I will be given one admission ticket. Below is my opinion of this new exhibit. As you might know from my Instagram @sevenlovelythings, my family is an exhibit/museum/adventure loving family. When we were invited to preview the new Battle For Texas exhibit in Rivercenter mall, I was naturally excited. I did dread parking downtown, but then I realized I would be parking in a garage! It was a nice afternoon trip, we grabbed lunch, did a little shopping, then visited the exhibit. Walking into the exhibit, you immediately forget that you are actually inside a mall and you find yourself on a journey to Texas. Ahh yes, the promised land that is Texas. Cheap land, tax free. Nicely laid out, you follow a path around the exhibit, and you feel like you are on a journey like the early Texas settlers. An early Texas map on display really puts into perspective all the huge hope and promise this land had. But as you move about the exhibit, you feel a darker tension lurking. Together with audio throughout the exhibit, many (some never seen before!) artifacts and well placed lighting, you start feeling emotional about the whole thing (well I did). My kids loved the audio and the vivid colors throughout. As I read about and felt the history, they enjoyed the "make your own flag" digital interactive part. I loved the layout, which was great for keeping small children in sight. The most memorable part of the exhibit was when you "walk" into the Alamo. At the Exhibit, there is a huge gate to enter (seriously, we were in awe), immediately you feel like its night, and you see the heroes of the Alamo as they would have been in their places, predawn, on March 6. The weight of the battle surrounded us, and my kids were a little nervous! A large cannon is in the middle of this section, and it has a rope you can pull, and you really get the sense of just how hard it was to be a defender. Truth be told, we had to skip the part of the Exhibit that was the finale, because my kids got pretty nervous at the sounds (They are all 6 and under). Luckily, there are two exits...one to follow the battle, and one to go into a room filled with televisions showing some of Texas' most iconic images. There is even a part where you can take your picture and get "added" to the Texas flag, the kids really thought that was fun. I couldn't help but get teary eyed at the end. When you think about this battle, the losses, and how others fought for our great state, it is emotionally staggering. Native Texan or Tourist, you will definitely learn about the Alamo in a personal way like you haven't before! Admission is $19.50 for adults and $15.50 for children 3-12. I am the kind of person who likes to know the “right” way to do something. I am also the kind of person who likes to know what the original version of a book or movie was. Two times this month, I found myself reading versions of books to my children that were not the original stories. This is not a bad thing, but we were missing out because of this! I stumbled upon a large picture book format of the same title at a garage sale and realized we had been missing out on a lot! The beautiful illustrations on the inside covers, the line, “So Jack went down to the cool cellar and pulled a jar of strawberry jam from one of the shelves,” among other things. In the ready to read version, we have no pretty inside cover and the jam part reads “So Jack got some strawberry jam.” I get it, I mean this is a version for kids to be able to gain confidence reading. But read aloud, this version doesn't sound as great as it should. Should we compromise a story for the sake of making it into an easy reader? Or should we stick with stories like Syd Hoff's 'Sammy the Seal' and “Thunderhoof” or Dr. Seuss titles? Do we need to reduce, sometimes even “dumb” down wonderful things to make them digestible? My second incident this month started when I ran across Inga Moore's version of The Reluctant Dragon at the library. I realized once I got the book home that it was an adapted version, but we did greatly enjoy the illustrations and this version of the story. I did a little bit of research and found this article Abridging 'The Reluctant Dragon.' Now I can't wait to get the version illustrated by Ernest Shephard, especially because of the opening line. What's interesting is that my library system only has two copies of this version from what I understand. I want to read what Kenneth Grahame wrote! I find Moore's retelling very accessible and charming while not talking down to children, and I imagine many retellings available are of good quality. However, these two events have me on alert to make sure what I am reading to my children is quality, especially when it comes to abridged versions. If I did not do an extra search and find the correct version and did not have access to used books, how would I know/find/be able to read what the authors originally intended? What do you think about different versions of books? I'm linking up with Literacy Musing Mondays over at Forever Joyful. Please check out all the wonderful links there! This is the first post in my new series, "Museums With Kids". We are so grateful to be in a museum filled city and located close to the San Antonio Museum of Art, the Briscoe Western Art Museum, and our favorite, the McNay Art Museum. (Note: At all 3 of these museums, admission for children 12 and under is FREE. The McNay is now offering FREE admission for Teens!) We frequent these museums as much as possible, visiting at least one on a weekly basis. The San Antonio Museum of Art and the Briscoe Western Art Museum offer free admission every Tuesday from 4-9 pm and we try to take advantage of this as much as possible. I find that at 4pm, the museums and parking are very manageable, especially with three small children. Our museum outings can be brief, "Hey lets go look at Marcus Aurelius" (a sculpture at the SA Museum of Art), etc. or we can explore our favorite works and then maybe a new to us section of a museum. It all depends on the time of day, the mood of my little audience, and what we want to do. There are a 5 Top ways I manage three small children inside a museum. 2) Have behavior expectations. My children have been going to museums and are usually well behaved. Note that this did not happen overnight, they had to be taught what level to speak at and that we absolutely cannot touch the artwork. Fortunately for me, they were so shocked at the loud alarm in the Greek Sculpture Gallery at the San Antonio Museum of Art (set of by an adult, not my kids, actually) that they don't dare get too close! I walk extremely near to my children in these settings, as our voices are lower and I can better contain wandering hands. 3) Everyone gets a sticker! 4) Know the Rules. Some museums allow babies to be in back carriers, others allow front baby carriers only. No sippy cups hanging out of diaper bags, etc. Just be mindful, and if you do happen to do something not allowed, usually a nice docent will let you know. But just in case, ask! Also, its nice to lock your bags and hats up in a locker (the McNay has small lockers). 5) Enjoy! Museum visits don't have to be completely serious and dry. Make up a story about a work of art! Talk about colors and shapes! Let the child pick what work to look at next. Going to a museum for free is a great way to get kids used to going, and if you have to leave more quickly than you would like, its ok! Consider it training for the next visit. Also, some museums have items to keep kids engaged! The Briscoe has awesome "Buckaroo Bags" with different themes such as "Campfire", "Grub", etc. My kids love the campfire one and enjoy setting it up in different parts of the museum! The San Antonio Museum of Art has "Activity Backpacks" for ages 6 and up available for checkout. What is your favorite museum? Let me know in the comments. Have a great next visit at your favorite museum! Now that December is here, (like, actually, really here, meaning that the Christmas holiday countdown is going FAST), its time for me to buckle down and tackle some gift giving! I am going to be giving a lot of handmade gifts this year, and this easy DIY Ornament/Gift Tag project really puts the icing on the cake presents. 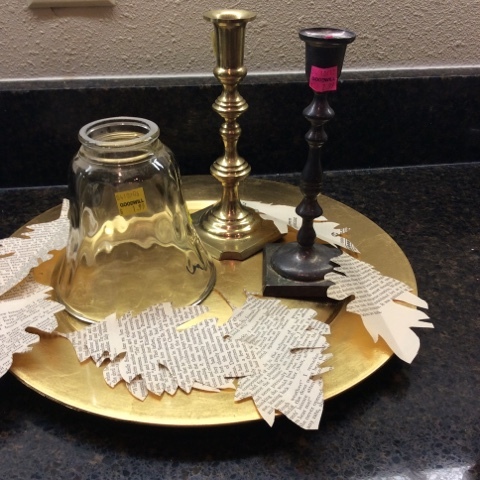 Goodwill here in San Antonio is a great resource to find items to upcycle for handmade gifts. From fabric (clothing) to silverware to party items, they really have it all. I stumbled across a 30 pack of favor tins recently and they were only $3.99. (If you buy these at retail they will cost about $20). I had a children's fable book from a project a while back, and for $1.99 I have gotten a ton of use out of it. Perhaps you could find a Dr. Seuss book (they typically run around 99 cents), or other similar children's book if you want to do a craft like this. I had Martha Stewart glitter paint in my craft closet, and of course, a hot glue gun is sooo handy. I popped the plastic parts out of the tins, and quickly painted the glitter on the visible edge...I wanted just a little, but if you want more coverage, do a second coat. After the tops dried, I used the bottoms as a template and cut selected pictures out of the book with an exacto knife (careful here!) To ensure the pictures don't pop out, I added a tiny bit of Elmer's glue to the backs of the pictures. I love the magnified effect from the plastic top! For added personalization, I made gift tags by using a paper punch, some shipping labels (to stick on the names) and hot glued the tags and ribbon loop on top. All done! The ornaments came together quickly, and I had everything on hand. The fun thing about crafting with thrifted items is that it challenges me to be creative! I love to use what is already produced and purchased, especially because I don't want to squander all the money I saved at Goodwill. Disclosure: This post was made possible by Goodwill San Antonio. I received a gift card in exchange for this post. It's been a bit since I have shared weekly book favorites here on the blog, but if you follow me on Instagram, you might have seen some recent recommendations. Follow me @SevenLovelyThings to stay updated, if you like. Today I am actually blogging! About books! Yay! Three books we read in the past week really stood out, and here they are! I purchased this at the McNay museum shop here in San Antonio. I love their selection of both books and everything else. Whoever the buyer is does a great job of keeping things fresh. This is a board book with bright, captivating colors- the illustrations are amazing...this is art, after all. Birds are something my toddler is obsessed with (probably because "bird" is part of her vocabulary). The book also features birds that are new to me and have fun to pronounce names. The counting makes the book last past the toddler stage and the rhymes are quick, upbeat and just wonderful. 2. 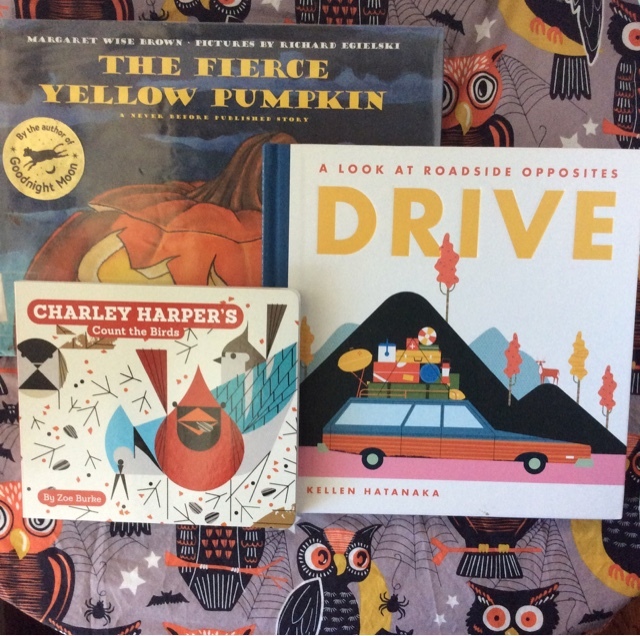 Drive: A Look at Roadside Opposites by Kellen Hatanaka is a bright, fun book. Keep in mind this is an opposite book so think "in/out" on each page rather than a long story. This is more than 20 pages and my son loved the map at the back and the "hidden" dinosaur bones on a page pair. A stunning book, in my opinion. Great for a wide age range. This book perfect for this time of year. It was a little bit almost scary but not with my six-year-old enjoyed. A fun story about a fierce little pumpkin. This would be nice to own and bring out around Halloween. With Halloween, Fall Parties, Thanksgiving and Christmas all right around the corner, we can all use great hostess tips NOW! I will share my big party planning secret with you today. There is something I do before every party or special event I host. I go to the thrift store. Drinking glasses. 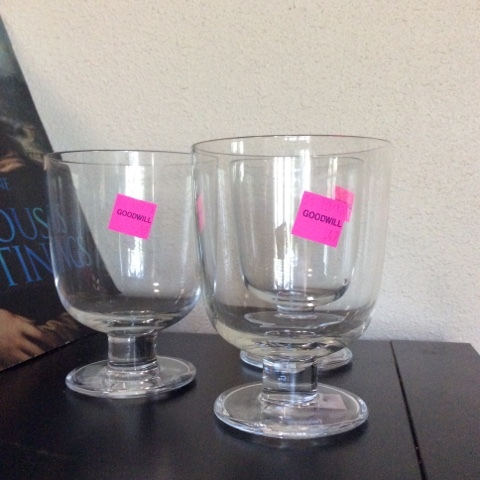 I recently added 3 very nice iittalia brand glasses to my cabinet for only 49 cents each!! Quality glassware at an amazing price. There are always great, heavier weight glasses at the thrift store. Almost every drinking glass I own cost me less than $1. Thanks Goodwill. Serving trays are a big score at Goodwill, from metal to ceramic to glass, there are always great serving pieces. I like to scout out white or clear glass since they will match anything. Candlesticks! These run, on average around $2.99, and my my what a can of spray paint can do. It's like magic! 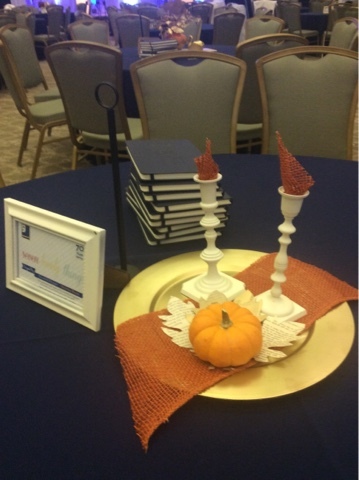 Check out the candlesticks I used in a centerpiece below. Makeover city! 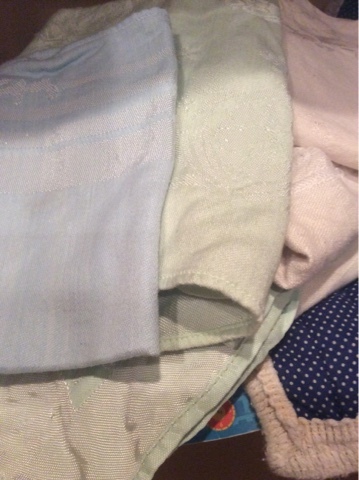 Cloth napkins and table linens. I always look out for these, as it's such a nice touch to use cloth rather than paper goods...and for almost the same price. I usually pay around 99 cents for cloth napkins. Cost per use is amazing and they really look special at any party. Once mine are ironed and neatly folded, they are party perfect! I often find them in new condition, as I think people are intimidated or think they are old fashioned. Those are just a few of the many treasures that await holiday hostesses at Goodwill. What do you look for? A NEW Thrifting Experience: Goodwill Clearance Store THRIFT HAUL!